It is the national day of grandparent today. I have not the experience to be a grandmother yet but I would like to share my experience about grandparents of gifted children and their important roles with you. I have a little friend, who is 5 years old. He has a fantastic imagination and as soon as he talks with you, you notice his great language skill. I believe that he is a gifted child because he has so many behaviors that point to this fact. The only problem is that his parents are not willing to accept it. “ Our child should grow up as a normal child. We do not want to take his childhood by pushing him into the trouble of being a gifted child“ his parent said to me once. One day I was talking to his grandparents and tried to explain to them the importance of supporting the emotional needs and to develop his talents intentionally. I tried to explain to them the importance of this fact being a gifed child is nothing against having a normal life, when we develop our understanding for this kind of children. His grandmother asked me for a good book about this topic and I gave her one. She took the book very carefully and whispered to me: „I am going to read this book and try my best to help and support my grandchild. I want to see him as happy as possible.“ She smiled so nice and I could feel her love and passion for her grandchild. A Grandparents heart is full of love to grandchildren. I remember as my grandparent told me stories, baked yummy cookies and tried to make me happy and smile and today I see some of my clients, who are sent to my center by a recommudation from grandarents. It is time to appreciate their loves and take more time to learn from their experience. Happy National Grandparents Day! Author(s): James T. Webb, Ph.D., ABPP-Cl, Janet L. Gore, M.A., M.Ed., Frances A. Karnes, Ph.D., Stephen McDaniel, J.D., A.E.P., E.P.L.S. Multi-Award Winner! 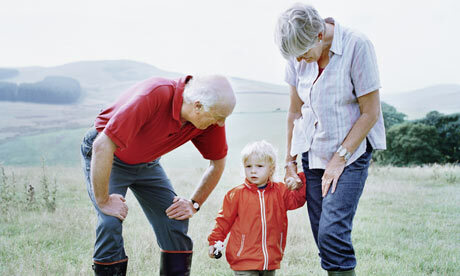 Grandparents have a very special role in the lives of their gifted grandchildren. In fact, because of the breadth of their life experiences, grandparents may realize that a child is gifted even before the parents do! This book helps grandparents know for sure and describes many ways that they can support their own children in the parenting of these bright, talented youngsters. Gifted children need special emotional and intellectual sustenance, and grandparents can offer perspectives and resources that their own children may not have. Parents may wish to buy this book as a gift for grandparents.